Last month, we met Ken Bannister. He put his collection of 17,000 "banana-themed artifacts" on eBay, and this man and his mother bought it. The International Banana Museum is saved! Since 2005, the 17,000 items that constituted the International Banana Museum—which Bannister estimated cost him $150,000 to amass—occupied a city-owned space in Hesperia, California. But in January, the city told Bannister he had to pack up. By the time the Wall Street Journal wrote about the museum, things looked grim: Even after cutting the collection's price on eBay from $35,000 to $7,500, Bannister had no offers. Enter contractor Fred Garbutt, 46, and his mother, Virginia. They contacted Bannister and made an offer. He accepted. 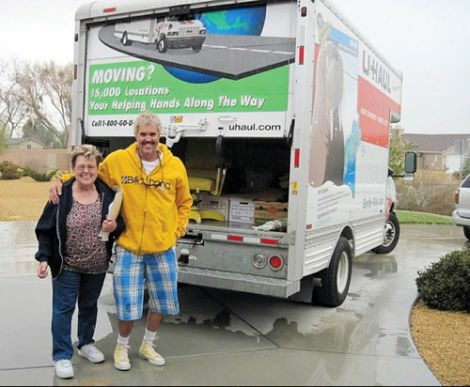 Earlier this month, they loaded the collection into a uHaul. The brand new International Banana Museum is set to open in January, 2011, next to a liquor store owned by the Garbutts off Highway 111 in North Shore, California. We spoke with Fred Garbutt about the purchase. What previous experience do you have with bananas? Just buying them at the grocery store. [Laughs.] This came on all of a sudden, but now I'm going to be the new king banana guy. I'm taking on the title of "Big Banana". Ken says he's still retaining his banana club and his logo. He's still "Top Banana." I'm "Big Banana." My mom is "Big Banana Nana." So why did you buy the banana collection? The last week of March, I happened to be down at my mom's house working on my daughter's car. She called me up and said, 'Hey go on my computer and check out this guy. He's selling this banana museum on eBay'" I went on there and was like, Yeah, we ought to buy that and put it down at our liquor store. We've tried to think for the longest time of ways to bring in customers off the highway. So I thought we ought to put that down at the store—that'll bring people in. Paint the store yellow. Once I mentioned that to my mom—I said it kind of jokingly—she said, 'Hey that's not a bad idea.' The more we talked about it, the more we were like "This might just be bananas enough to work." All I see is positive coming out of it. And also I thought I could promote my business. I build and resurface tennis courts. It's called Aces Court Construction. I might change it to Bananas Court Construction. That's just between [Ken Bannister] and my mother and I. I'll leave it up to the imagination of the people what it sold for. Are you a big collector yourself? I collect Converse high tops. I've got about 110 pairs, even though I didn't have any yellows. But Ken gave me his yellow high tops when we went up to pick up the stuff. What changes are in store for the International Banana Museum? We don't want to go and change it much from what it already was. We want to embellish on it and make it more themed then just the collection and banana-colored walls—we want to put up banana leaf wallpaper, the sky's the limit. We're gonna continue adding to the collection; we're seeing all this other banana stuff. We also want to come out with other types of banana-type clothing and whatnot. Once we started looking at the kinds of banana-printed clothing out there, we realized there's not a lot. 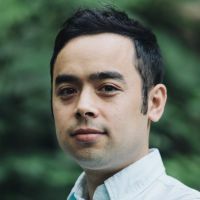 Who knows how big the market is, but maybe it will be something that will catch on. The other thing I'm still searching on Craigslist for is an E30 BMW convertible that I'll paint yellow. The BMW will stand for "Banana Museum Wagon." I'll drive it in parades and stuff and put one of those magnetic signs on the door. That's another one of my crazy ideas. 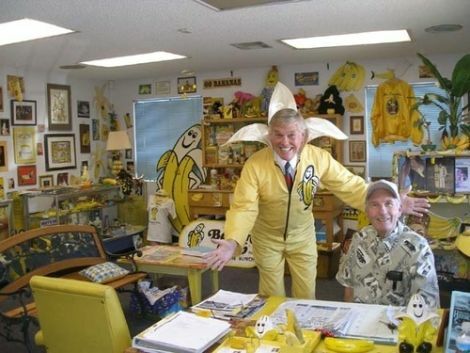 Ken Bannister said he always wanted to keep the Banana Museum 'family-friendly.' What about you? It's going to stay family friendly, definitely. It's a banana museum, there's no reason to put anything in there that you wouldn't want your children to see. I'm sure there's a lot of battery-operated objects that would not be appropriate.